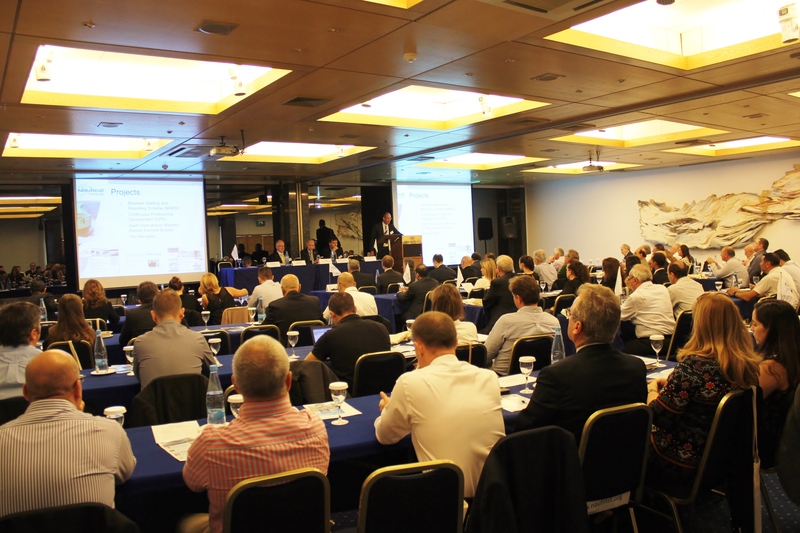 Every 3 years, The Nautical Institute holds a series of worldwide seminars. 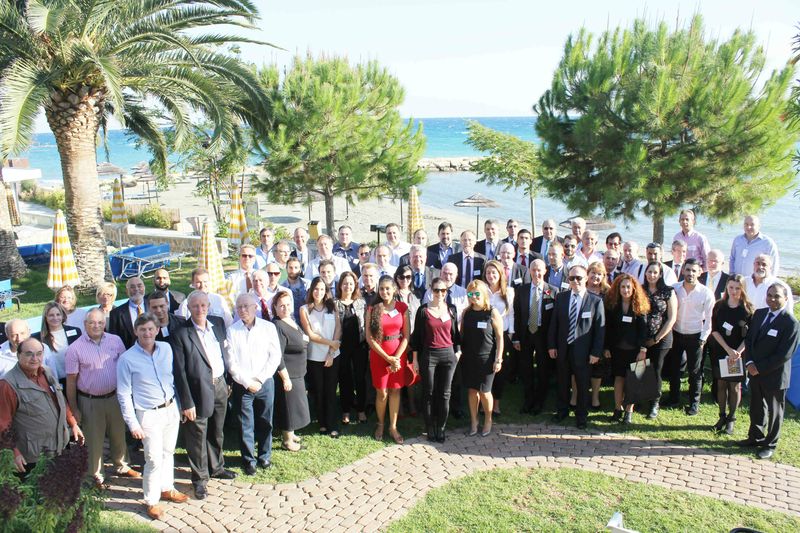 This year the Institute’s Cyprus Branch proudly hosted one of these seminars, reflecting once again Cyprus’ status as a recognised international maritime hub. 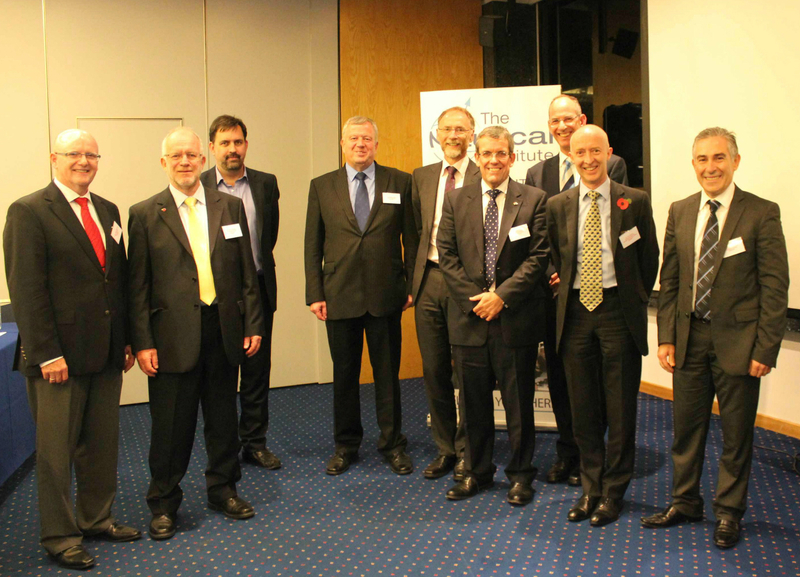 The NI Cyprus Branch Committee, arranged for a number of high quality speakers from the local and internationally recognised shipping community who presented interesting and thought provoking papers. The topic of the seminar, Navigational Competence, is already receiving huge attention within the industry. The purpose of the seminar was to bring together key stakeholders and discuss the subject with the aim of hopefully providing some solutions for delegates to consider, take away and use. A report of the findings in the Nautical Institute’s own publication, Seaways and the Institute’s monthly journal for its Members is also expected to be published. Navigational Accidents and their costs are increasing at an alarming rate. Some of these accidents are caused by a lack of familiarity with new technology. All of the navigational incidents that were reviewed were caused by human error. If we accept that, in principle, each officer involved was competent to stand the watch, how then do we break the error chain? The Master must demonstrate good leadership which, in turn, should lead to greater motivation and inspiration to his officers. We should not forget that a high proportion of ships operate with very high levels of navigational competence and we need to capture and develop the skills of the Navigators on board those vessels. The Navigator should always ask the vital question “what could go wrong?” The ability to answer that question adequately depends on the navigator’s knowledge and experience. New technologies can be good and are necessary but they need to be of real benefit to the Navigators on board and well implemented and without the need for extensive training. E-Nav is moving forward quickly. Our industry needs to embrace it, get involved and start working in detail on the implementation. Specifically we need to define what we want from the system. There should be no mandatory implementation. There is a compelling need for proper co-ordination of E-nav. We need to look carefully at the design and layout of ship’s bridges. The Bridge as a comfortable ‘cocoon’ is reducing situational awareness. We need to be aware of the ‘paradox of navigational gadgets’ – the supply of ever more detailed navigational data by systems does not necessarily result in the Navigator improving the way he or she does the job. In some cases, the process may result in boredom, complacency and lack of interest. We need to not only train for competence but we need to inspire and motivate good Navigators to get the desired outcome. Master-Pilot relationship is desired competence and we must develop related skills such as assertiveness and ‘thinking aloud’. Soft skills are required in the context of Bridge Teams and Master-Pilot interaction. Risk Assessment for each Aid to Navigation should be included in competency skill sets. We need to be aware of the ‘fragility of Mariners’ – they are not superhuman. They, like everyone else, will make mistakes. We need to accept that, plan for it and adjust our operating styles accordingly. We endorse the development of the NI Command Scheme as part of the process for improving competence and defining ‘best practice’. Ship handling is a major issue and needs to be addressed not only through the STCW but further training initiatives. We must not rely purely on ‘on board training’ for cadets. The ‘on board training’ for cadets is regulated by the STCW. However the cadets might learn the ‘wrong ways’ if the DOC holder lacks control and a proper safety and navigational culture and is not motivating the senior officers to train. Therefore the DOC holder should enrich the cadets’ structured training program and monitor their progress while they are under training on board. The full day seminar was held in the bustling and cosmopolitan centre of Limassol, Crowne Plaza Hotel, on Friday 7 November 2014, followed by a beautiful and fun cocktail reception and dinner and considered as a fantastic place to visit and offering a rich variety of cultural and leisure activities in addition to business opportunities. The Nautical Institute is a non-profit making charity and a non-governmental organisation (NGO) with consultative status at the International Maritime Organisation (IMO). 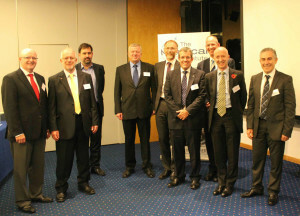 Its aim is to promote the highest level of professionalism and best practice for seafarers’ and maritime professionals. It also presents the professional views of those serving on seagoing craft. As a representative body, the Institute fulfils its role in many different ways. Membership by proven qualifications and experience helps to set standards. The technical committees ensure that professional opinion and advice is fed back to the industry’s decision making bodies. Publications written by practitioners for practitioners provide the best operational guidance available and the Branches encourage professional development in local areas. The Nautical Institute aims to provide the strongest possible professional focus, dedicated to improving standards of those involved in control of seagoing craft, while maintaining the Institute as an international centre of nautical excellence. To represent the professional views of its members to and within the international, national and local bodies considering the safety and efficiency of shipping operations. Encouraging and promoting a high standard of qualification, competence and knowledge among those in control of seagoing craft including non-displacement craft. Facilitating the exchange and publication of information and ideas on nautical science, encourage research and publish its results. Establishing and maintaining appropriate educational and professional standards of membership. Co-operating with Government Departments and other bodies concerned with statutory and other qualifications, and with universities and other educational institutes and authorities in the furtherance of education and training in nautical science and practice. Encouraging the formation of Branches and professional groups in different areas worldwide. The Nautical Institute, Cyprus Branch was established on the island some 21 years ago and has a great role in the local shipping industry which contributes to about 5.1% of the GDP (to be verified) and employs over 4500 people ashore and nearly 55000 seafarers worldwide. (courtesy CSC). The NI also has a DP accreditation programme which assumes great significance in view of recent offshore developments.